Elizabeth and Ann founded the top producing team, Realty Performance Partners Group, in 2007. Their continued success and many transactions is a result of always putting their clients first. Elizabeth graduated from University of Texas at Dallas with a BBA in Business Administration. Elizabeth is a life-long resident of the Dallas area, having grown up in Richardson. 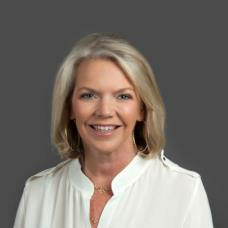 Beginning in 1988, Elizabeth has spent her entire career in real estate, first in commercial transactions and the last 25 years in residential sales. Her impressive sales record, coupled with her knowledge and outstanding care for her clients, has allowed her to excel for nearly 30 years in an industry that has one of the highest participant turnover rates, bar none. Elizabeth’s desire to provide the best service for her clients, is at the heart of her success. Like Ann, her clients are her #1 priority.